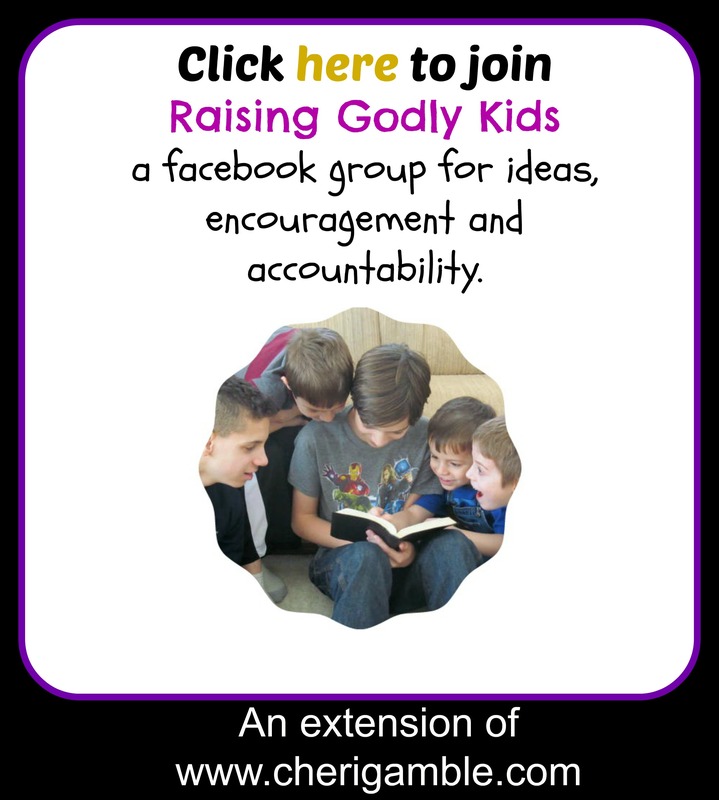 One mom serving one God and sharing with you . 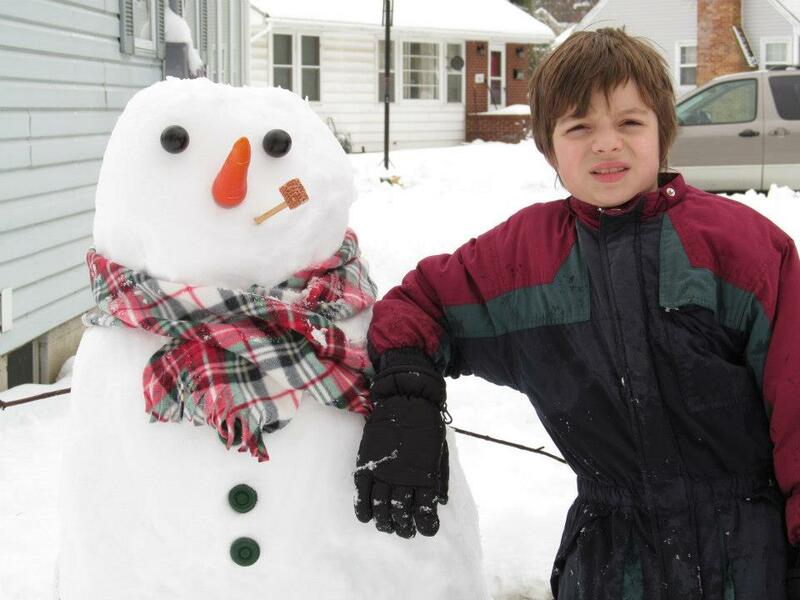 . .
Snowmen and Spiritual Growth: Is your faith in danger of melting? My boys like to build snowmen. Or, rather, I like to have them build a snowman each winter so I can have cute snowmen pictures to put in my scrapbooks. Whatever the reason, my boys build a snowman together every year, and watching the way the snowmen have changed from year to year has been very interesting. 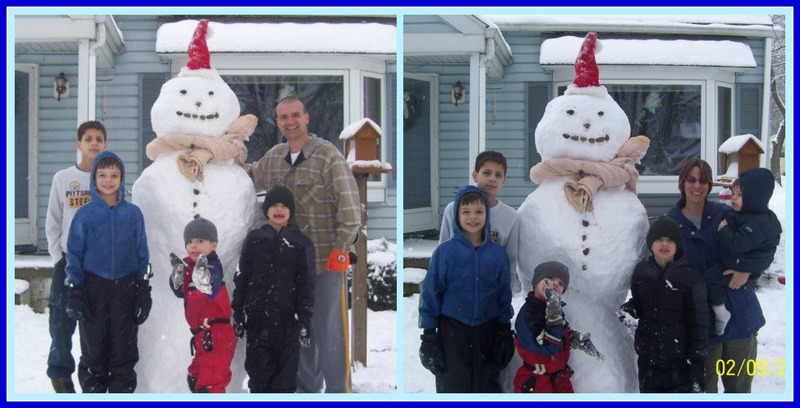 The first year my boys built a snowman together, it was a tiny snowman, barely as big as the smallest boy. It stood lopsided, with a knit cap on its head, tiny rocks forming its eyes and a strand of tinsel serving as a scarf. “Look at our snowman!” my boys yelled out to me. That was my signal to grab the camera and shoot the pictures, being sure to compliment them on their hard work. They had, after all, built this snowman completely on their own, and it served its purpose well. Isn’t that similar to how we begin our Christian walk? Excited to be following God, we delve into our new life, a little lopsided and certainly not perfect. “Look at Jesus!” we yell out to all who pass us by. Serving His purposes, we stand tall, unashamed of how silly we may look to others. 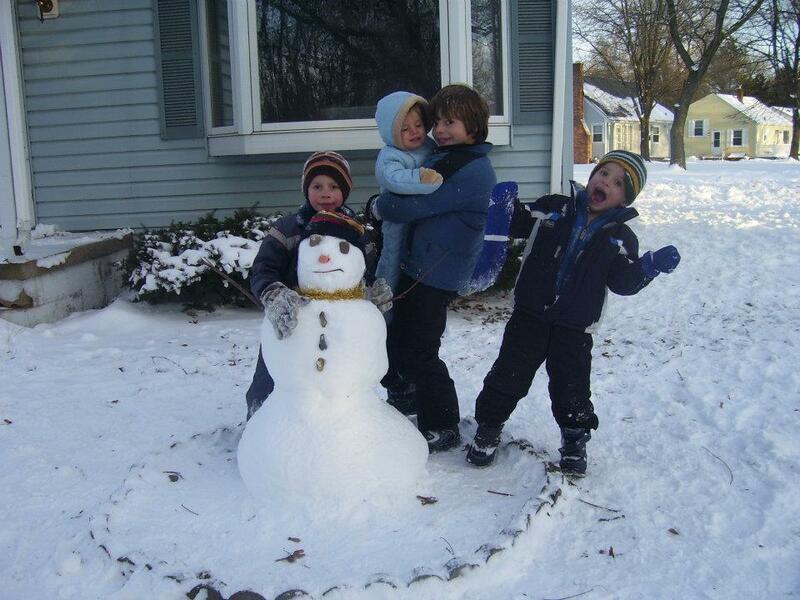 The following year, my boys were determined to make the biggest snowman they could. Rolling the snow into enormous balls that stretched wider than all of them and taller than the smallest of them, they were convinced that they would make a snowman worthy of the record books. Watching out the window, I was well aware that their snowman was a huge undertaking . . . there was no way they would be able to lift the snowballs they had made on their own. Sure enough, when they went to lift the first giant snowball, it would not budge. I watched as they pushed with all their might, desperately wanting to get the ball lifted and put into place. Nothing happened. “Mom! We need help!” my oldest shouted from the front door. And when their dad came home, he went out with them and helped them lift the snowballs and complete their snowman. This one stood over six feet tall, sporting a Santa hat and beige blanket as a scarf. It was a snowman to be proud of. Happily, I grabbed my camera and took a picture, complimenting them on the great job they had done. Soon our faith begins to grow. We spend more and more time in the word of God and we discover the power of the Holy Spirit. This is an incredible time in our Christian lives. Knowing that we serve an awesome God, we attempt awesome acts in His name. When our attempts lead us to try that which is much bigger than we are, we do not give up. Instead, we call on the help of our heavenly Father and, together, we get the job done. Sometime during that winter, a friend of ours found out that our boys enjoyed making snowmen and she gave us a snowman making kit. This kit came with everything they could possibly need . . . a corncob pipe, a carrot nose, and even two eyes made out of coal! All they needed to add was the snow. But the winter was almost over . . . the snow was melting . . . the boys would have to wait for the next winter to use the snowman kit. When that next winter arrived, the boys were overjoyed. At the first significant snowfall, they came running in, asking me for the snowman kit. Working carefully and diligently, they created a very adorable, very perfect looking snowman. I got out my camera, took the shots, and had a great time scrapbooking the pictures. As we progress through our Christian life, we receive a lot of advice and encouragement from other believers. Brothers and sisters in Christ come along beside us, teaching us and helping us grow in our faith. Offering suggestions that we eagerly accept, they guide us into a deeper walk with the Lord. Our lives begin to look more and more like Christ and less and less like the imperfect, lopsided mess we used to be. But then another season comes upon us . . . one where we begin to become complacent in our Christian lives . . . one where it is easy for laziness to replace zeal, for apathy to replace enthusiasm. . .
One that threatens to break us down completely. Snow was more than abundant the following winter. Every time there was a brand new snowfall, I encouraged my boys to go out and build a snowman. “We will later,” they told me. But later kept getting later . . . and later . . . and later. . .
It’s not that my boys didn’t play in the snow that winter. On the contrary, they were out nearly every day, building forts, having snowball fights, and crafting tiny sledding hills with the freshly plowed snow. They just did not want to make a snowman. Perhaps they were tired of making snowmen, or they were afraid their snowman would never compare to years past. Whatever the reason, it was dangerously close to spring and I still did not have my snowman picture. “Please go out and make a snowman,” I begged. Finally, my boys agreed to make a snowman. When they called me to see it, all I could do was laugh. They had laid three huge snowballs side by side, placed a blanket over two of them and stuck a teddy bear by the first one. 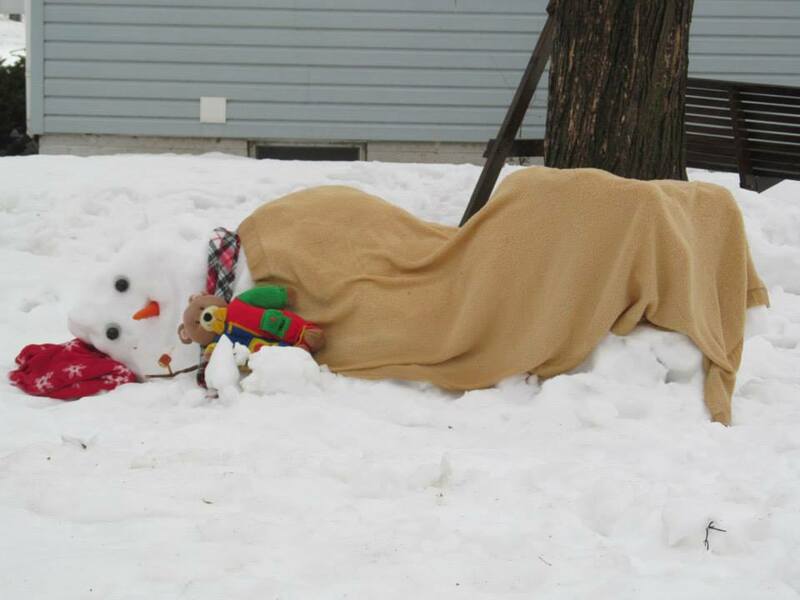 This resulted in the appearance of a snowman who was lying down, cuddling with his teddy bear while taking a nap. I grabbed my camera, took a picture, and posted it on facebook. This was one to remember. We become lazy. We take on the appearance of a snowman, lying down, covered with a blanket while clutching a teddy bear. And a snowman, lying down, covered with a blanket while clutching a teddy bear will soon melt away. This is not God’s plan for our lives. God wants us to serve until the end, never losing our excitement or enthusiasm for the Kingdom. God wants us to always be like that snowman, standing tall, depending on Him to help us with the details. That is the picture that we need to capture for our lives. Coming Friday : The first in a series of Friday Family Bible Times using SNOW as its theme! The above post is adapted from “Banana Bread & Mismatched Socks: 100 Devotional Thoughts From My Every Day Life” (2014). Buy your copy today! Did you like this post? Please share it with others! I came across your site while searching for a picture of a melting snowman to display along with the poem Snowman Sniffles by N.M. Bodecker. I am a member of Rochester Poets in Rochester Hills, MI and we are planning an event to display poetry in the windows of downtown merchants in April for National Poetry Month. Your pictures, especially the one with your boys holding up the melting snowman would be perfect for my display. Would you be willing to give me permission to display one or more of your pictures along with this poem? I could make reference to the source in any way that you would like. Thank you for your help and God Bless! Sounds great — I just sent you an email in response to this. Thanks for this Devotional! I used it for our church’s devotional as we painted snowmen! How fun! Thanks for sharing! I’m so glad you’re here! I’m Cheri . . .
. . . Just one person trying to make a difference for Jesus! Join me! ❤️ my family! Happy Easter, everyone! Happy Siblings Day, Gail & Duane!